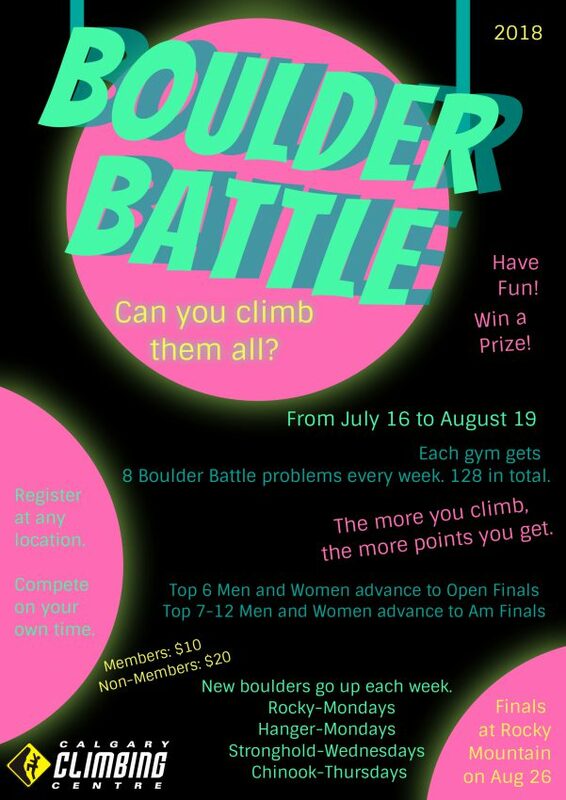 The Boulder Battle is here. 128 problems over 4 weeks. Register at any facility between July 16 and August 19 to participate.